← Moroccan Beef Nachos and Chocolate Banana Cake from Goodles! Enjoying Our Sumo Sam Dinner! 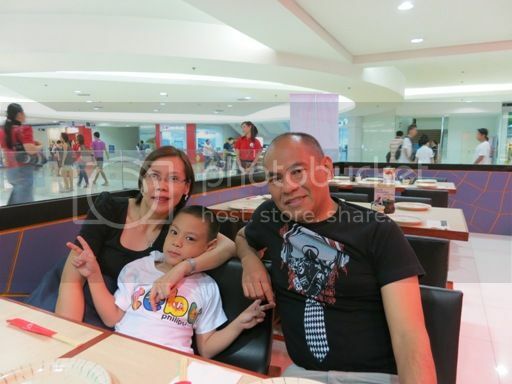 We were at SM Megamall four Saturdays ago, and before going home, hubby treated us to dinner at Sumo Sam. Sumo Sam (Sumo for Japanese and Sam for American) offers Japanese-American fusion food. We were comfortably seated at Sumo Sam. The place is big and spacious, which is something that we really liked. The staff were also very attentive to our needs. We actually didn’t know what to order because they have a lot of food offerings on their menu. 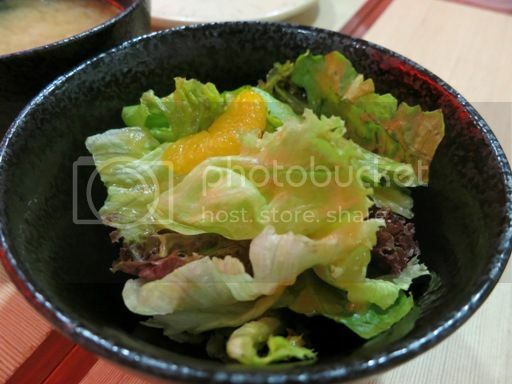 We ended up having the Steak Combo, which consisted of grilled steak and salmon, house salad, miso soup, California roll and Japanese fried rice. We also ordered Sesame Chicken and French Fries. This was actually a “special” order because it’s not included in their menu. 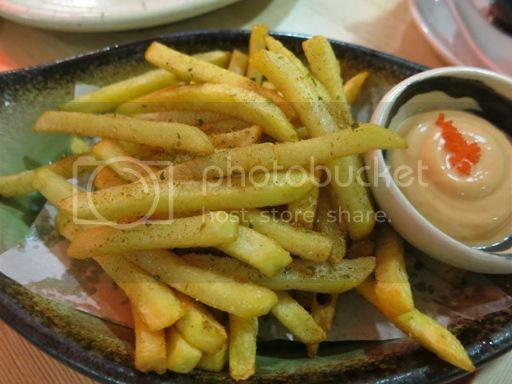 They usually serve French fries as a side dish. However, the waiting staff who attended to us accommodated our request when we told her it was for our young man. This plate looked busy with a generous serving of chicken chunks, sesame seeds and veggies. 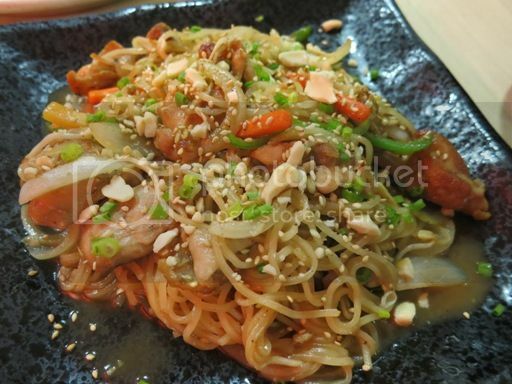 What we liked about this noodle dish is that no one ingredient overpowered another. The ingredients blended together very well and produced a delectable treat. Our young man liked this so much. 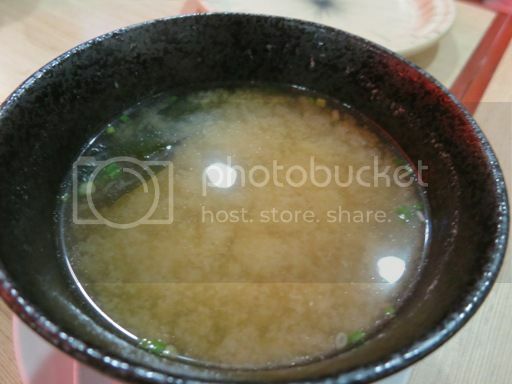 He was alternating this Miso Soup with his French fries. Those crisp and fresh veggies were a delight to eat. I ate most of this. I had two of these, and I gave one to hubby. See those shredded crab sticks on top? We loved them! Lovely presentation, too! 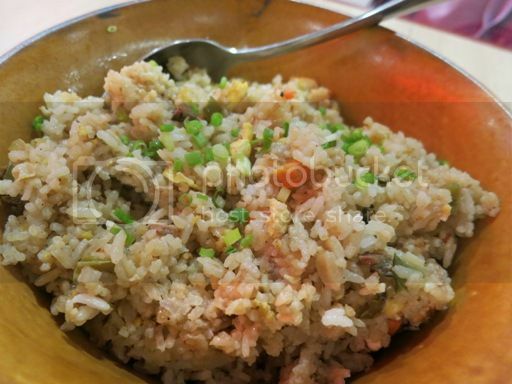 This was our first time to order Japanese Fried Rice, so I couldn’t say if it was really good, but it was okay. We loved these, too! 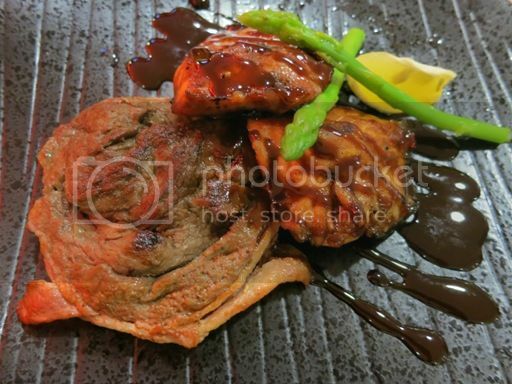 The grilled beef steak was tender and savory, and the salmon steak was succulent and delicious. 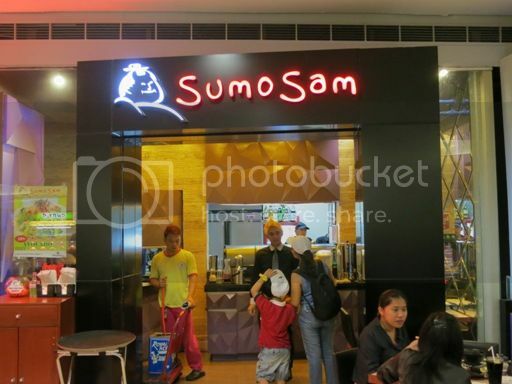 Because we enjoyed the good food and great service at Sumo Sam Megamall, we will definitely come back here. 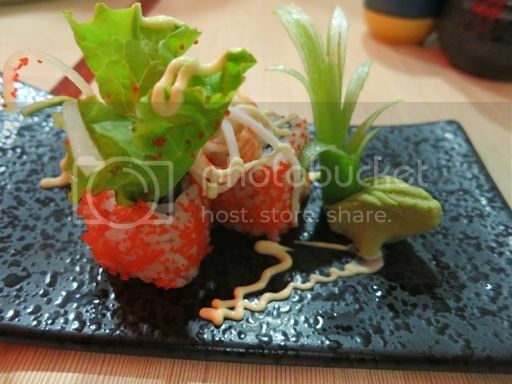 This entry was posted in American Cuisine, Food Friday, Food Trip Friday, Japanese Cuisine, SM Megamall, Sumo Sam. Bookmark the permalink. 9 Responses to Enjoying Our Sumo Sam Dinner! That looks yummy! A good combination indeed! I have not been back to Sumo Sam. The steak combo looks appetizing! I am tempted to eat there this weekend! so sorry for the very late visit….